You are here: Home / kids / Baby Girl Turns One! We can’t help but get excited when our babies turn ONE! It’s a huge accomplishment for a baby and great day for Mom and Dad! 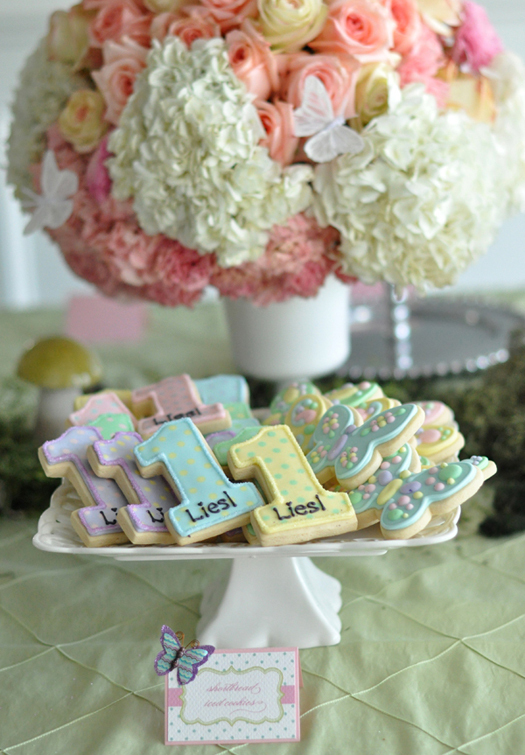 There are so many ideas and themes you can choose for when your baby girl turns one! I love this fabric strip bunting! A great pop of color and so easy to make! This Mama created a sweet celebration for her little girl! This sweet baby celebrated with a vintage themed “Mary Had a Little Lamb” party! This angel’s first birthday was heavenly! Lemonade, lightly frosted cupcakes and angel wings make this a sweet celebration! I’m loving this watermelon themed birthday! A smash cake AND watermelon! What one year old baby girl wouldn’t love both?? Twinkle, Twinkle to this little star! Who thought turning one could be so much fun?! A baby butterfly garden party to celebrate your little one’s special day! These number one cookies are so pretty! I love this idea of hanging baby’s pictures starting from when they were born up to their one year old birthday! and then using this as the party decor. How sweet is this Mermaid themed party? I love this because it involves the guests and makes it a special day for everyone at your little girl’s first birthday! Curious babies love Curious George! Once again, use your one year old’s favorite stories to create your birthday theme! Don’t go down that rabbit hole! How fun is an Alice in Wonderland themed party? This is a beautiful shabby chic style birthday. Perfect for a one year old princess! Take the party outside, the weather is fine! I love all the use of colors at this party in the park! Bring on the sun, this baby is turning ONE! Baby’s grow up so fast in that first year so enjoy this time and celebrate big on your baby girl’s first birthday! Oh so sweet. First birthdays are fun.